Ever dream of falling in love during your morning commute? Apparently, It's happened quite a bit on SEPTA's trolleys, buses, Regional Rail lines and subways. SEPTA has announced the winner of its contest that asked riders to share their stories of where they made romantic connections while using public transportation. Traffic scorecard ranks Philadelphia as one of most congested cities in the U.S.
Out of 88 entries, which SEPTA called "inspiring, romantic and heartwarming," one from a rider named James was picked as the winner of the contest, which ended Feb. 19. Spoiler – it's pretty cute. We hope you agree, this is a pretty good story and proof that you can find [lasting] love on SEPTA. 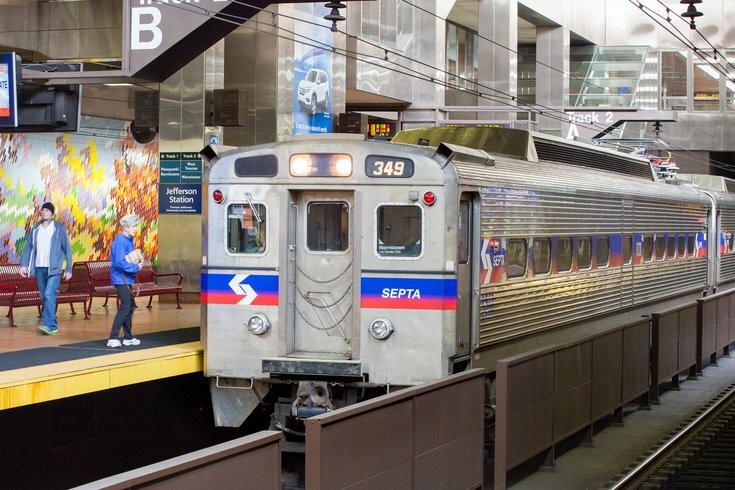 SEPTA has posted additional love stories on its iSEPTAPhilly blog, which share connections made by riders on the Broad Street Line into Center City, at the Girard stop of the Market-Frankford Line and on a Regional Rail en route to Suburban Station. SEPTA said last month the winner will score an Anywhere Pass for March as well as a $100 Dunkin' Donuts gift card. Ten others got an iSEPTAPhilly T-shirt.